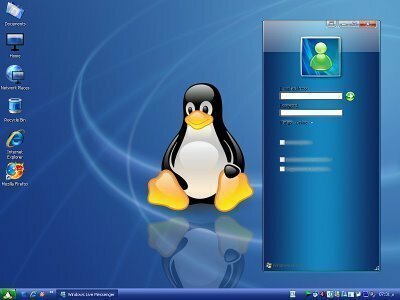 Linux is a free, open source operating system that competes with the Windows Operating Systems and Mac OS X. Linux is widely used on a number of devices such as servers, desktops, laptops, smartphones, PDAs, game consoles, tablet computers, supercomputers, and mainframes. Linux controls only about 4.9% of the market share of desktop computers while controlling roughly 40% of the market share of servers. Linux was created and remains to be modified on a routine basis by the community at large as well as specific designers who have been working on the project since its creation. Linux comes with Mozilla Firefox, Open Office, GIMP, and roughly 2,000 other programs that can be downloaded from its program database. While Linux ships in many different distributions with many different features for each, the Linux program database is available in all forms of Linux. Linux was created as a hobby by Linus Torvalds. As a student in the University of Helsinki in Finland, Torvalds was highly interested in a small Unix system called Minix. He later decided to develop his own operating system that far exceeded the Minix system. The project began in 1991 and soon after the project started, the 0.02 version was released. In 1994, version 1.0 of the Linux Kernel was released. What makes Linux so unique from the rest of the crowd is that the source code is available to anyone. The kernel is located in the heart of most operating systems. 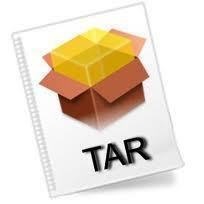 It is responsible for the resource of the operating system, security, low-level hardware interfaces, and etc. The Linux kernel is developed and released under the GNU General Public License. Because the source code is available to the public, developers are able to edit the operating system as they see fit. There are now hundreds of companies, organizations, and individuals that have taken advantage of this freedom and released their own versions of the operating system based on the Linux kernel. Currently, the full-featured Linux operating system is version 2.6, but the development still continues. Not only is Linux distributed for free, but the functionality, adaptability and robustness of Linux is enough to make it the main alternative for Unix and Microsoft’s operating systems. IBM, Hewlett-Packard, Dell, Compaq, Toshiba, and etc., have embraced Linux in the computer world and fully support its development. Reaching its 20th year of existence, Linux is known all over the world as the server platform. The number of people using it at home and in the office is significantly increasing. The operating system can also be taken directly into microchips in a process of embedding. This is being used in appliances and devices by a increasing amount of people. At first, others dismissed Linux as nothing more than a hobby and how this project would remain a tangent to the computer needs of others. With the help of KDE and GNOME, developers of desktop management systems, there is a wide availability of applications that can run on Linux. Heavy computer knowledge is not needed to set up and use Linux, and anyone can try Linux for free by downloading a live CD online. The CD comes with all the necessities for a computer user and it needs no installation. One can simply run the computer capable of booting from the CD drive and go from there. Linux can also be installed into the computer. There is a variety of distributions in the Internet that can easily found. Debian is a very popular distribution of Linux and is made specifically for use in workstations such as offices and factories. Debian comes with its own powerful collection of management tools that can be easily be installed, accessed, and maintained on either individual computer systems or workstation clusters. Debian is constantly maintained and improved by a community of users who work specifically on the Debian distribution of Linux. Debian also includes a bug tracking system in order to ensure the most reliable and efficient service to all of its users. Mandriva is a distribution of Linux that is designed to be easy to use and fun to work with. Mandriva includes hundreds of different applications that are configured to assist the user with everything from office needs to gaming. Mandriva is ideal for both companies and home users and comes with a wide variety of wizards that can walk the user through both simple and advanced computer setups. In addition to these support wizards, Mandriva has several graphical administrative assistants that make computer management much easier. TurboLinux is a fast distribution of Linux that is specifically designed for corporate needs. 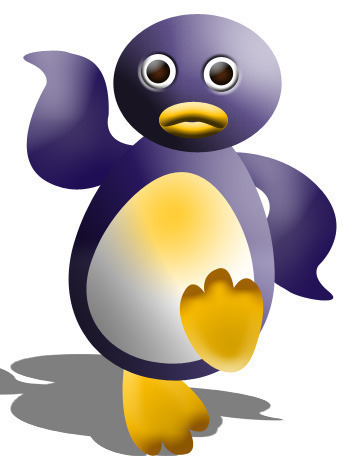 TurboLinux can also be used on home computer, however, and is perfect for home businesses. TurboLinux can be used to create powerful, scalable networks that vary depending on the equipment that the user has at his/her disposal. TurboLinux is available in multiple languages and comes with a wide variety of desktop applications such as NetScape and StarOffice. ASPLinux comes in Deluxe, Standard, and Express editions and is a Linux distribution designed for organizations and companies. ASPLinux includes a service that allows the user to setup and maintain powerful internet/intranet network connections and servers and also allows the user to manually modify the computer’s partitions during installation. ASPLinux can also move, copy, and resize partitions into a number of other formats without losing the data on that partition. KNOPPIX is a Debian-based Linux distribution that can boot from a CD without being installed on the host computer. KNOPPIX is ideal for Linux demonstrations and use on computers that have another operating system that cannot be modified. KNOPPIX includes KDE, Open Office, and a variety of other applications that make it easier for the user to quickly and efficiently work from wherever he/she is. Linspire is also based on the Debian distribution and is designed more for home use than anything else. Linspire can be run alongside MS Windows and includes a vast number of applications that include media players, an office suite that is compatible with Microsoft Office, photo editing software, playlist tools, an email/browser software, and much more. More Answers to What is Linux? 215 queries in 0.506 seconds.